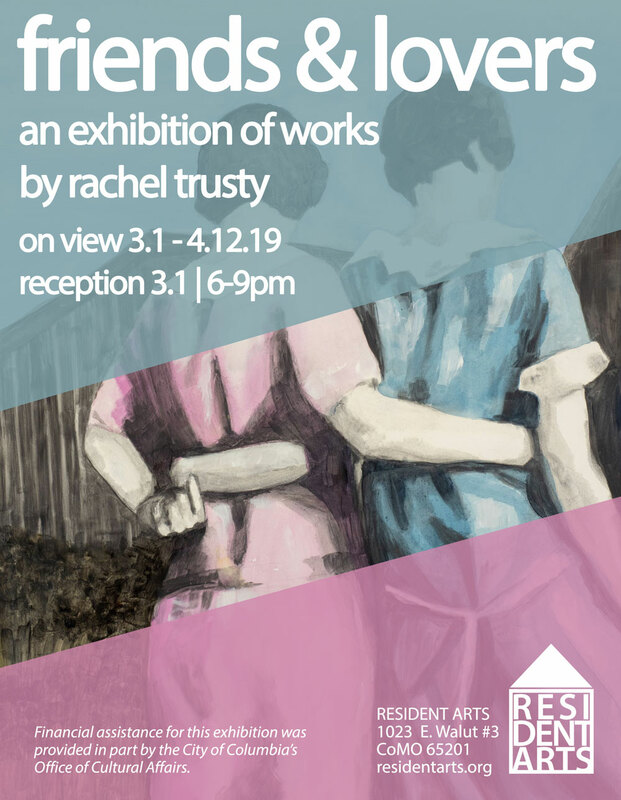 Join us for the First Friday reception for Friends & Lovers, an exhibition of works by artist Rachel Trusty, March 1, 6-9pm. Refreshments served. Exhibition on view 3/1 – 4/12/19. Trusty is an artist, educator, and curator currently obtaining her PhD in Women’s, Gender and Sexuality studies at University of Kansas, Lawrence KS. Trusty’s personal work focuses on themes of femininity and the exploration of traditional women’s materials such as fibers, embroidery, and sewing. This entry was posted in 2019, Exhibitions. Bookmark the permalink.